In many clubs, Personal Training and Group Exercise lock horns every day in a battle for member visits. 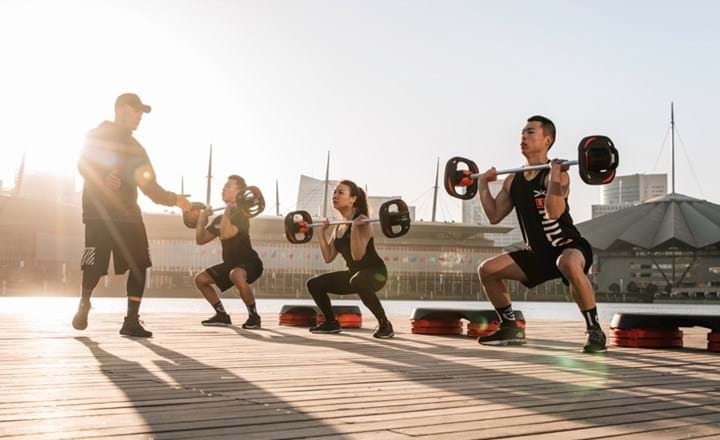 But it doesn’t need to be this way, says Les Mills New Zealand (LMNZ) Head of Fitness Ish Cheyne, who believes both PT and GX perform better when working together. Having worked in health clubs for 23 years, one of the biggest lessons I’ve found is that a lot of clubs are kidding themselves when it comes to personal training. We hold it up as the ‘Golden Child of Retention’ and try to drive all new members towards it. But with only 10-12 per cent of members taking up PT in the average club, that means around 88 per cent of members are being left out in the cold. Clearly, there’s a disconnect. We need to stop justifying personal training as a retention programme. It’s really a lucrative source of revenue – one which is very important to clubs – and that’s fine. 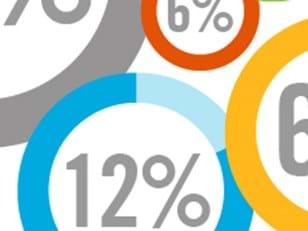 But if you admit that it's about revenue, then you need to take a fresh look at how to retain members and this starts with how you onboard the other 88 per cent. The reality for all members is that they’re more likely to be happy (and stay with you longer) if they have a breadth of exercise modes at your gym and assisted exercise is a huge part of this. For example, group exercisers are 26 per cent less likely to cancel than gym only members (TRP 10,000™ study). 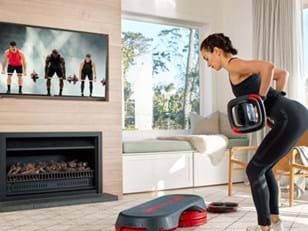 But beyond gym floor sessions, the need to add workout variety can leave PT and GX fighting each other for precious member attendances – which are just 1.9 per week on average. But there is a better way. With a solid onboarding program and a healthy dose of team culture, PT and GX can work in harmony to increase member visits, boost retention and ultimately drive revenue. Here are my top tips for creating a fully-integrated PT and GX offering that works for all. How you onboard a new member is absolutely crucial to the long-term success not only of that member but also of your club. While the sales manager, PT and GX instructors all have a part to play here, the role of the gym instructor is vital – and often the most overlooked. Assuming someone’s in the 88 per cent who won’t start with PT, it’s the job of the gym instructor to give them a programme, set them up on the equipment, show them how to navigate their way around the gym for free. The gym instructor has two roles. One is to help people be successful in their individual training and make it a regular habit. The other is to channel people into assisted exercise – whether it’s PT or GX. So, they're always looking for ways to qualify people up and talk to them about crossing over into other avenues of fitness which will increase retention and potentially yield ancillary revenue. GX is particularly important here. A lot of club managers tend to see group fitness as the thing you do when you're not on the gym floor or doing PT, as opposed to a potent retention tool. So, the more relationships you can help a member forge through social exercise, the more likely they are to stay with your club. In a lot of clubs at the moment you see too many personal trainers trying to get married in a Tinder world. It sounds strange, but what I mean is a lot of PTs still have quite an old-school outlook where they say to clients “come to the gym three times per week and only see me every time.” But workout habits have moved on since then and people like to exercise in a variety of ways. In my role overseeing PT, GX and gym floor across the 12 LMNZ clubs, I’m constantly emphasising to our team of trainers that in today’s market people are going to workout in multiple ways and we shouldn’t fight that. They will see a PT, but they’ll also do GX and train on the gym floor – chances are they're going to a yoga studio as well. Too many clubs are fighting it, but it’s just the nature of the market and you either want to get a slice of that or you don't. We're teaching our PTs that group fitness isn't the enemy. If someone is seeing you and they're doing a group fitness class, that person is more likely to stay on as a member. Plus, we know that group fitness also increases attendance. So if people are using group fitness to come into the gym more often, that means there are more visits to go around to everybody. And we've noticed people that cycle tend to go to the gym more than people that don't. So PTs who recommend people do a cycle class as part of their cardio block throughout the week are more likely to have a successful client than the PT that's setting them up with cardio programmes on treadmills and cross trainers, because no one does them. By spreading their client’s program between PT, gym floor and GX a trainer will statistically keep that member for longer and increase the overall lifetime value of that relationship. We know people who do Les Mills workouts are three times more likely to refer new members, so encouraging clients to try GX is also likely to result in more referrals for that PT and more members for their club. Personal training is a social networking game. If a PT relies on seeing fewer people multiple times per week, then their business is at greater risk than those who train lots of people less often. What happens if those three-times per week clients go on holiday? Or quit? What happens if you go on holiday? Or get sick? Much like an investor spreads their portfolio, a PT should spread their client base. This then makes the trainer more of an asset to the gym because they're effectively retaining more members by interacting with a bigger pool of members. If they're referring those people into group fitness as well, then attendances go up and members are spread across the club so there’s that win-win. Suddenly the gym's benefiting, the PT’s benefiting, and the members are benefiting. In a market where members are looking to train in a variety of ways, you want fitness professionals in your club who have multiple strings to their bow. Whether these are people you hire or existing staff that you upskill, it’s a highly desirable skill mix and another way of bridging the divide between PT and GX. A lot of clubs are reluctant to encourage their PTs to teach classes because the hourly rate for GX can be considerably lower, but it's not about revenue. Group fitness is marketing for personal trainers and that's where PTs need to be educated. The trainer who’s in front of a class three times per week teaching group fitness is going to be successful – they’re constantly building relationships and creating PT prospects. And then there are certain programs – like BODYPUMP and RPM – that seem to attract a type of member that also does something else. They'll tend to be more open to other modes of training and then PTs can then really step into that gap. Fully-aligning your club’s PT and GX offerings can be hugely rewarding, but you have to be willing to put in the work to foster that culture among staff. The best way to start is first of all having the conversation with your PTs about risk and the marketing opportunity of group fitness, because PTs are selfish creatures. If you can make it look like it's all about them and benefiting their business – which both of those are – then trainers are more likely to look at it differently. It’s all about education. It starts with the generation of trainers that you've got, but every new batch of PTs then need to be trained really hard in the new systems, so eventually that culture tips. It took us years to break it through our business, but our trainers now go in and they're not fighting group fitness like they were in the old days. There's definitely a more positive relationship between the two, and a better relationship between the PTs and the gym as well. From an operational perspective, you ideally want to get to the point where your PT managers and group fitness managers are closely aligned and collaborating on things like recruitment. You should also give them similar KPIs – member attendance, retention and other key club metrics – as well as PT sales and GX attendances. Everything needs to ladder up to shared goals that reinforce that sense of team. 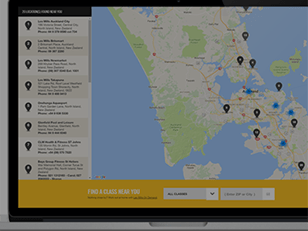 Ish Cheyne is Head of Fitness for LMNZ and has worked in the business for 23 years across multiple, sales, club and international roles. When not ferrying his two teenage girls to and from sports events, Ish likes to embrace the great outdoors or kick back watching Netflix.